One of the goals of this blog is to help families navigate the complicated landscape of autism treatments. Because I am a conventionally trained and practicing pediatrician who has also studied alternative therapies, I feel that I have the credentials to give advice about what is helpful, what might be helpful and not too risky or expensive, and what is not-ready-for-prime-time as regards various protocols for this enigmatic and complicated epidemic. That brings me to the latest hubbub filtering through the ASD community about this new and controversial therapy utilizing oxytocin – the ‘love’ hormone (aka ‘trust’ and ‘cuddle’ drug). First, it’s really complicated. Recently, I have read over 100 papers and abstracts trying to learn about and understand the topic. If you can get through the WikiPedia explanation, you’re pretty scientifically savvy, and that is only the beginning of the story. So, I’ll try to interpret. Oxytocin is a hormone, identified and produced synthetically 60 years ago. It affects the brain (where it is formed), and it acts on distant areas of the body, also. For one thing, it works on a woman’s uterus throughout pregnancy, labor and delivery. Likewise, this little molecule plays a big role in breastfeeding – bonding – from the mother to the infant and back. And, because of additional roles in sexual activity, it has gained the ‘love’ reputation. OK so far? 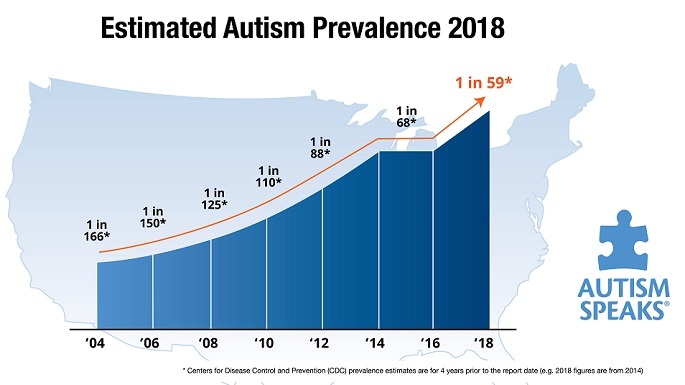 The interest in oxytocin’s role in autism comes from the observations that this hormone acts locally in the brain and plays a role in socialization and emotions such as fear, satisfaction, and anxiety. Lack of this substance has been implicated in the inability to feel empathy, psychiatric and other disturbances, especially repetitive behaviors. There are more than a few biological models for autism-like behaviors in laboratory mice and rats. Oxytocin has been experimented with; and indeed, levels of the hormone do play significant roles in social behavior in the animals. Although this is controversial, there is a fair amount of research that autistic children have generally lower levels of oxytocin than neurotypical peers. Plus, other studies have reported improvements when affected individuals get extra oxytocin. Heck, a few years ago, I didn’t even know that boys had this hormone. Also, is it cause or effect? That is, do the lower levels or poorly functioning molecules cause autistic behaviors, or does the lack of social interactions lead to changes in oxytocin level? Lastly, there is evidence that demonstrates that there is no problem with the oxytocin receptor gene. That supports a notion that the levels of the hormone or the quality of the peptide that is being produced in the brain could be part of the problem in ASD. Those oxytocin receptors also require cholesterol and magnesium for proper activation. Additionally, we can’t forget that the neurons that make oxytocin make other chemicals, also. The peptide is broken down in the stomach, so the route of administration has been intravenous (impractical for daily use) and intranasal as a spray. This delivery method has the added factor that it might get absorbed better into the central nervous system, where it needs to do it’s thing. What are the side effects of oxytocin? So far, studies have noted stuffy nose (nasal preparation), some cortisol effects (blood pressure, electrolyte changes), schadenfruede (increasing envy and glee at others misfortune), and reducing trust of strangers (? increase anxiety in certain situations). Because of side effects – known and unknown – this therapy should only be undertaken under the care of a qualified physician who can identify problems at the earliest possible time. What is missing throughout all of this information is – DOES IT REALLY HELP? That’s the $64,000 question (probably a lot more game-show $, nowadays). It is important to note that there are currently no published safety or efficacy data for oxytocin in children. At present, there are only a few published studies on short-term use showing some improvement in some ASD children and adults. I have gotten very conflicting information from other DAN! doctors and patients who have tried the therapy. I believe that I will be addressing this treatment for years to come. I intend to go through a detailed informed consent procedure and carefully administer the product to selected patients and thoroughly document the changes so that I can help more patients improve in the social domain. The alternative treatments such as Risperdal, Abilify and stimulant meds are no picnic to choose and administer. Even if this new protocol only enables the patient to take less of those medications, it could be of significant benefit, given the complications which those drugs produce. For the past few years, I have been using a product that was recommended to me by another DAN! doctor, which is a pill form and can be obtained from Belmar Pharmacy in Colorado. We have seen mixed results so far regarding eye contact and socialization improvements. A couple of patients seemed to become agitated, some experienced no improvement, and only a few are seeing improvements in their children. I have treated dozens of patients with the hormone. One patient, a twenty-five year old female has had some improvement in speech and socilaization, however, she started at a very basic level in those areas. Eye contact and some decrease in social anxiety has occurred with others. When it works, the patient and parents are happy, but it’s about 5% effective so far. It costs ~$100 for a month’s worth of oxytocin, which should be enough time to evaluate. This entry was posted on Friday, December 9th, 2011 at 11:58 am	and is filed under >ALL<, Alternative and Complementary Medicine for ASD, Asperger's Syndrome, Autism Therapies, Diets, Patient experiences, Research, Sensory issues, Special Therapies. You can follow any responses to this entry through the RSS 2.0 feed. You can leave a response, or trackback from your own site.